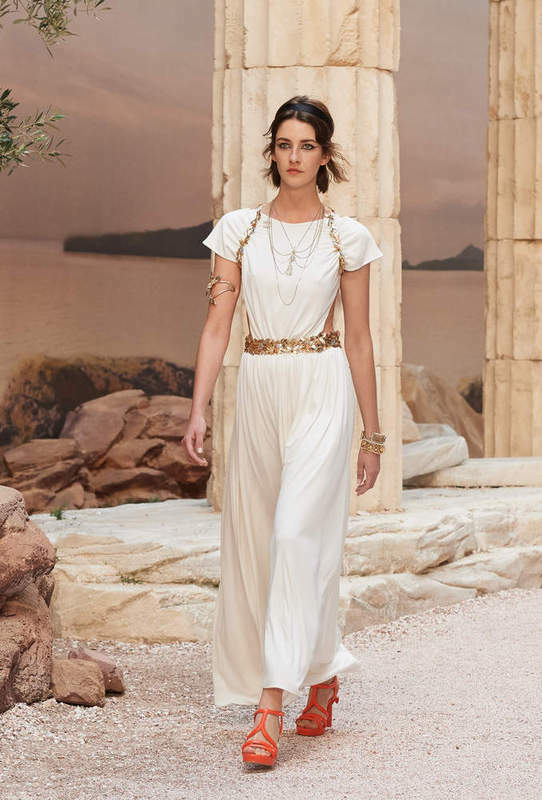 Chanel travels to Ancient Greece for its cruise 2017/2018 collection. Creating an atmosphere of the temple of Poseidon at Sounion and the Parthenon of Athens the models walked along side the columns of the temple. Like they walked on the ruins of these archeological excavations. Like greek goddesses with their eternal beauty. The collection 'The Modernity of Antiquity" presents an impressive overview of Chanel roots until today. Recognisable boucle fabrics, but also knitwear and soft jersey. 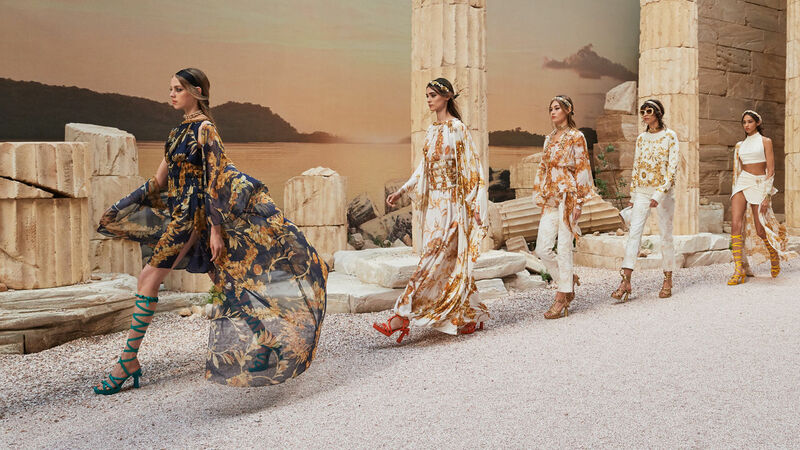 Hellenic silhouettes, ancient sandals and gold details made the show complete. Pastels and off-white are the main colours. The criteria of beauty in Ancient then Classical Greece still holds true. There have never been more beautiful representations of women. Or more beautiful columns. The entire Renaissance, in fact, was based on antiquity. I see Greece as the origin of beauty and culture. 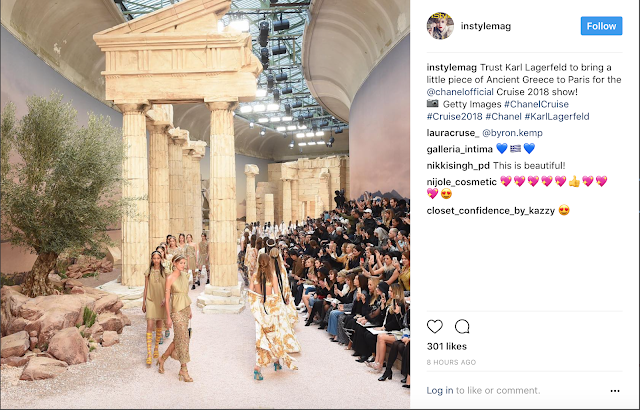 Karl Lagerfeld proves that you don't have to ask for presenting your new collection at the Parthenon in Athens, he just rebuilt it in the center of Paris. My favourite looks of the show. The collection is available online and instore from november 2017.